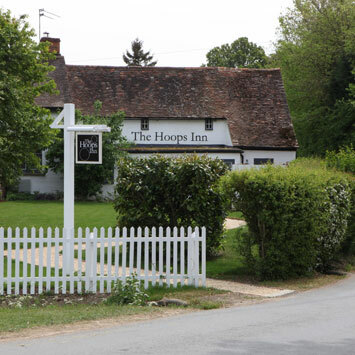 Located in the heart of the picturesque Hertfordshire Village of Perry Green is The Hoops Inn. This welcoming and beautiful building was thought to have been built in 1834 and nestles alongside The Henry Moore Foundation Sculpture Gardens, Studios, Galleries and the Moores’ family home, Hoglands which is across the lane. 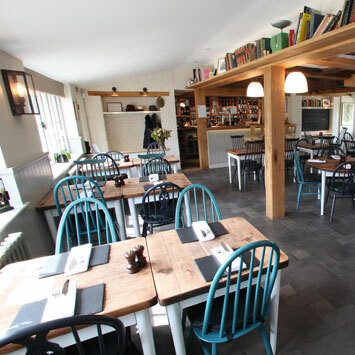 The Inn was leased by The Henry Moore Foundation in 1990 and they recently chose Kay Pilsbury Thomas Architects in collaboration with Design LSM, to sensitively restore the Inn to create a pub dining room. 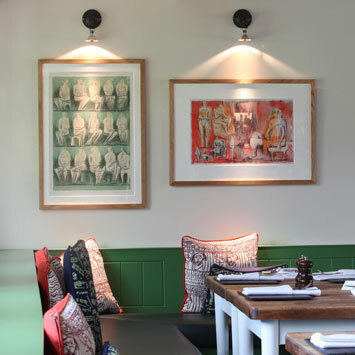 The restoration looked to create a fresh and modern Dining Room, while exposing some historic features and incorporating the subtle use of Henry Moore fabrics and etchings. 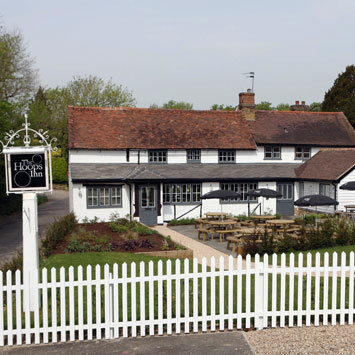 The historic elegant criss-cross timber casement windows were reinstated front and back, to allow light to flood into the room; opening up views onto the outside dining terrace and Village Green. Panelled doors were hung throughout and Wainscot panelling to dado height runs along the walls. 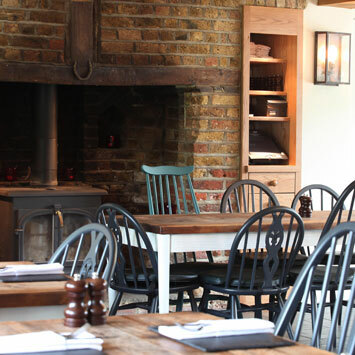 The original oak beams and posts were restored and the new bar top, tables and shelving also makes use of this traditional timber. A stove was placed inside the original inglenook fireplace for warmth in the winter, and the floors were finished in slate to compliment the Welsh Duchess Slates found on the single storey roofs. 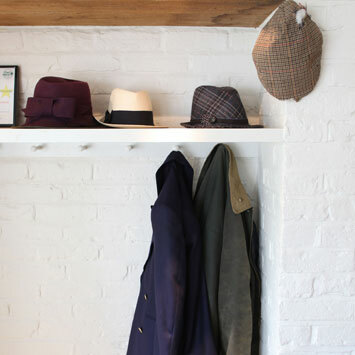 We recommend a visit to The Hoops Inn, which is wonderfully run by Lowri and Mark Williams for The Henry Moore Foundation, with support from boutique caterers Harbour & Jones.